#227. 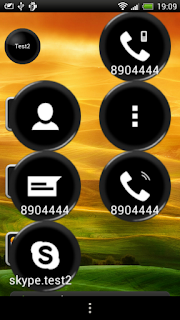 Facebook action in Single and Group Contact Widgets has stoped to work after recent update of Facebook application. Fixed. #205. 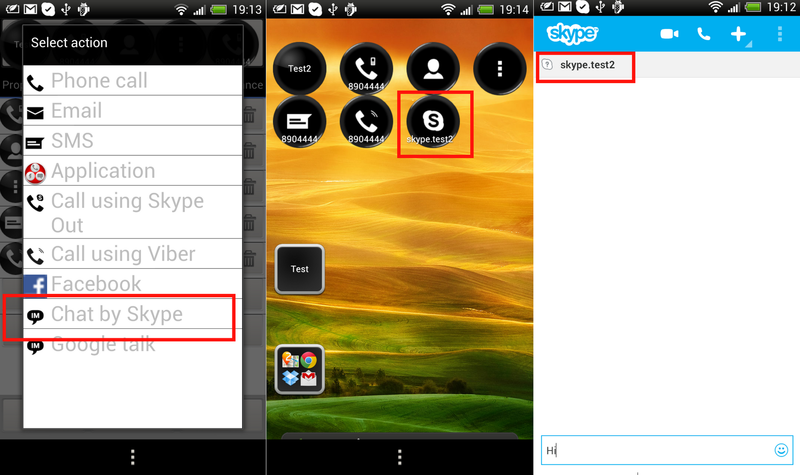 Single/Group Contact Widget supports action "Chat with Skype". #187. When you tap on "..." button Animated Widget shows custom menu instead of default menu on Android ver. 3 and higher. #223. There was no possibility to update Animated Widget Contact info after changing phone numbers in contact properties. Animated Widget shows new phone number in list of actions, but actually continues to use previous phone number. New behavior: after changing phone/email in contact properties, open Animated Widget properties. You will see notification about changing phone/email and suggestion: remove all actions for old phone or remove old phone by new one in all actions. #213. New possibility to select application that should be used to view/edit contact properties when Open Contact button is clicked in Single/Group Contact Widget. It's actual for users who prefer to use alternative contact applications (like Contacts+) for these purposes. By default this feature is disabled to avoid compartibility problems with default contact application. 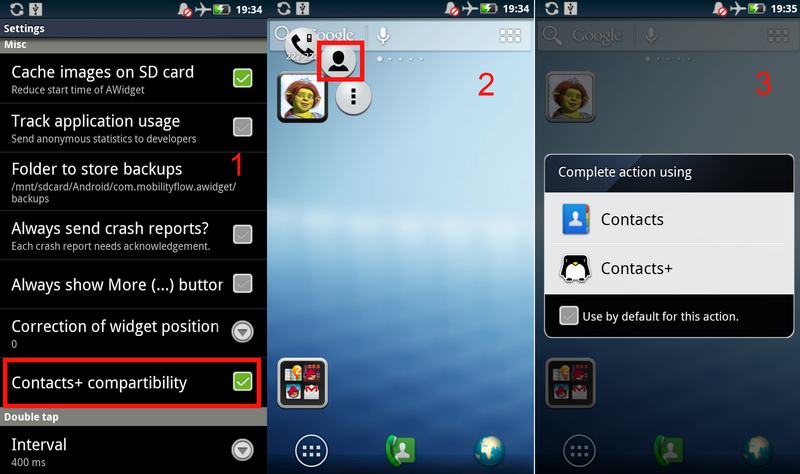 To use this feature turn on new flag "Contacts+ compatibility" in Application Settings. German and Galician localizations were added. #220. HUGE shortcuts size is reduced from 300% to 200%. #226. There is a problem on some ICS devices - widgets are opened with shift by Y. It looks like at this moment there is no possibility to reliably solve this problem on all devices. So, I have added possibility to workaround the problem by manual selection of compensatory shift for position of opened widget by using new configuration parameter: "Correction of widget position by Y". 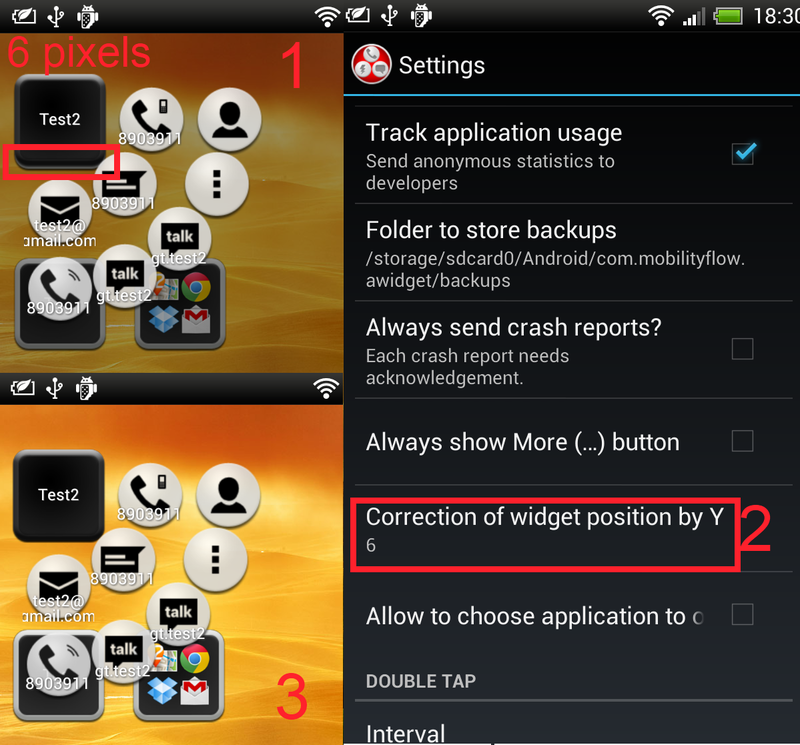 For example, it worth to select shift = 6 on HTC One X to avoid this problem. #198. Bookmark launcher didn't display bookmark titles in some circumstances. - From the home screen, select the Apps in the bottom. You will see full list of applications. 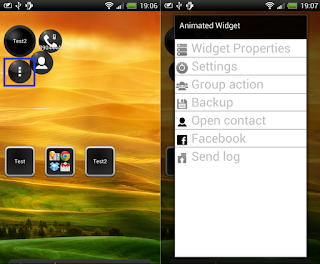 - Once inside, select Widgets tab. You will see list of widgets. - Tap and hold on Animaget Widget PRO. - Select where on the screen to place the widget, by dragging your finger across the display. A window with list of widget types will appear. - then configure Animated Widget as usual. Hi, is it posaible to add videocall to shortcut? There is no native support of video calls in Android at this moment. There are some workarounds, i.e. 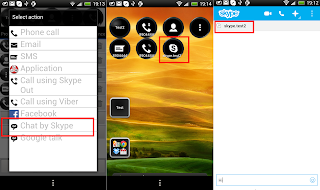 it's possible to use Gtalk for video calls. It looks like it's possible to programmatically start video calls through Gtalk (of course, it should be tested), so there is theoretical possibility to add support of such action to Animated Widget. What application do you want to use for video calls? i ment plain video calls via gsm/umts network, which are possible from stock dialer/address book.